Now-a-days, with the craze for selfies growing rather than abating in popularity, remind customers and potential customers of your brand imprinted on the Selfie Stick. 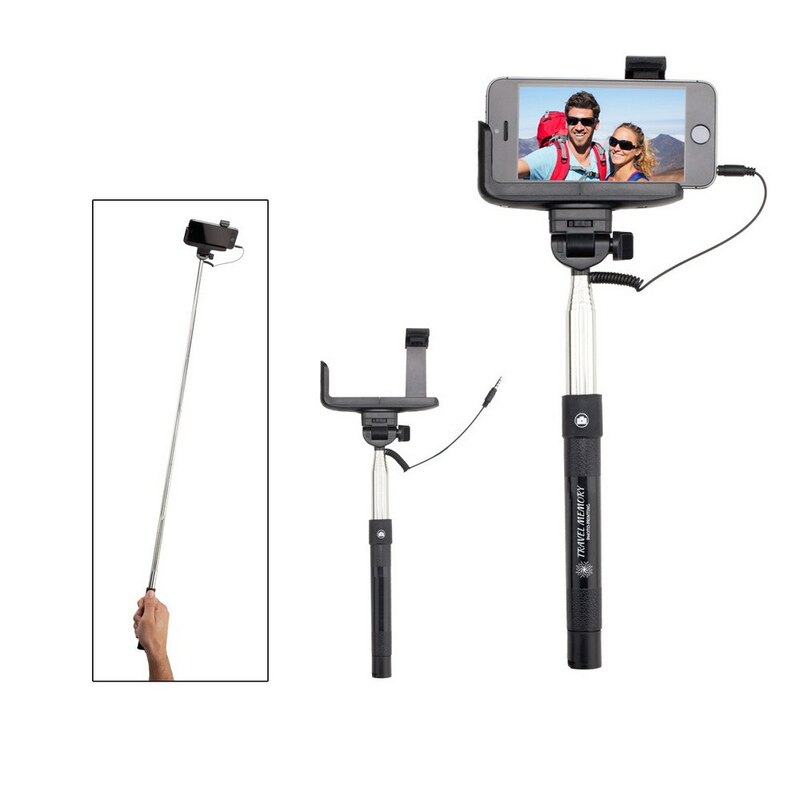 The selfie stick has a telescopic handle and an activation button on the grip to take pictures. Now-a-days, with the craze for selfies growing rather than abating in popularity, remind customers and potential customers of your brand imprinted on the Selfie Stick. 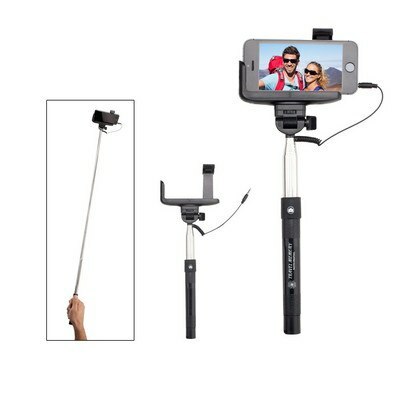 The selfie stick has a telescopic handle and an activation button on the grip to take pictures. It is compatible with most smart phones. It does not require Bluetooth connection or a remote to function. It can be charged through the audio jack that is present for power connection. The selfie stick does not support voice recording. It is available in black color. The selfie stick is a perfect gift for your clients and employees this holiday season. It also makes a great giveaway at malls and tourist spots, and effectively multiplies your brand value.